If there’s a pretty girl, Tucker can’t be far behind. 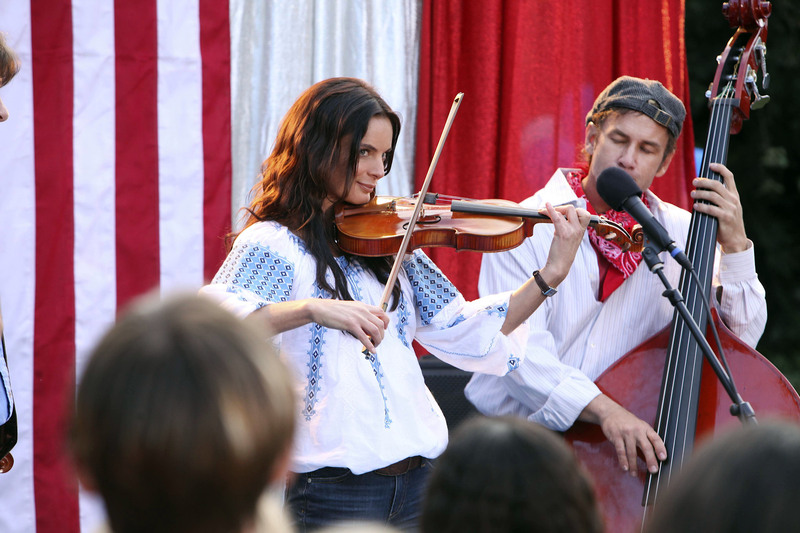 World-renowned violinist Caroline Waverley [Burn Notice’s Gabrielle Anwar] takes a break from her current tour and returns to her grandmother’s house in Innocence, Miss. where she spent many summers in her youth. Of course with a name like Innocence, you know bad things will happen. Caroline runs into charming yet arrogant ladies’ man Tucker Longstreet [Something Borrowed’s Colin Egglesfield], a member of one of the town’s most prominent and wealthy families. 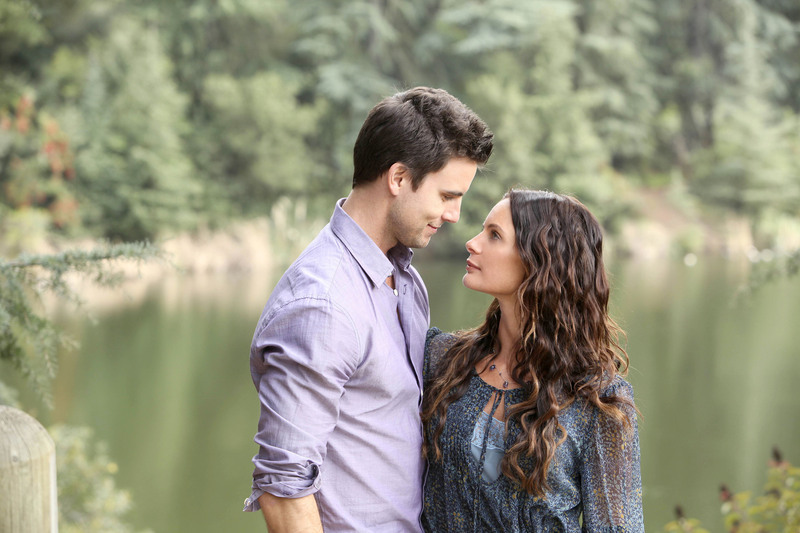 The next day, Caroline discovers a body on her property. It turns out that Tucker had an affair with the deceased woman, Etta Lou. They were seen fighting in the diner the day before. Etta Lou slapped him and said she was pregnant. When the FBI comes to town, Tucker’s the center of the investigation as someone murdered two women he dated. It looks suspicious though he claims his innocence. Caroline falls for Tucker and becomes entangled in the mystery surrounding him and the Longstreet family. Etta Lou’s father comes after Tucker with a shotgun [while he’s at Caroline’s] and other bizarre events ensue. Nora Roberts’ Carnal Innocence brims with violence through fisticuffs and gunfire and knives. I figured out the killer 27 minutes into the TV movie but there still were a few twists after that. The Southern setting allows for high drama. A great creepy soundtrack provides additional suspense. Egglesfield turns in a winning performance as the charismatic and mysterious Tucker. There seemed too much an age difference between Egglesfield and Anwar, so I wasn’t pleased with that pairing. All in all, Nora Roberts’ Carnal Innocence is a solid television thriller for a Monday night in June. This entry was posted on June 13, 2011, 11:58 and is filed under TV. You can follow any responses to this entry through RSS 2.0. Both comments and pings are currently closed.